The biggest challenge for a start-up company or even Multi-National Company is to make its employees feel connected and valued. Various monetary and non-monetary benefits are given to an employee so that he takes a step towards ensuring the organization’s as well as his personal growth. 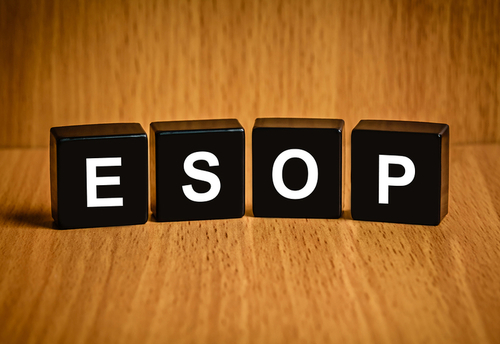 In our humble opinion Employee Stock Option Plan (ESOP) is the best possible way to do so. In order to bridge the gap between the position of the top management and the middle and the lower management most of the companies nowadays, offer its shares to its employees at a lower or same rate, so as to make their employees believe that they are one of the owners of the company, and that they should work harder to make their company grow. This scheme is known as the Employees Stock Option Plan. In abroad, this scheme is usually undertaken when an employee takes over the shares of a person who is willing to leave its position as a shareholder, and thus it’s called the Employees Stock Ownership Plan, where the ‘O’ stands for Ownership and not Option. However, in India it is largely used as a motivating source to make the employees feel valued to the company. It is one amongst the many fringe benefits offered by the employers. Shares are undoubtedly a very easy way to make money. However, it is very important to know the share market in order to invest in a company. The advantage that the employees under the Employees Stock Option Scheme have over others is that they know the whereabouts of the company very well, and thus, they can take the right decision by investing in them or not. Once they have invested, the share price of the company goes high, and thus it benefits the company while benefiting its employees. 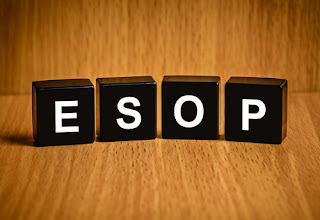 The employees under the Employees Stock Option plan do not have to pay tax on the income earned by those shares until and unless the shares are sold. However, if an employee owns the shares two years after receiving the option grant and one year after exercising the Employees Stock Option Grant, then he is liable to pay a tax of 20% as a Long Term Capital Gain under Section 112 of the Income Tax Act, 1961. In case an employee suffers loss, then he is eligible to set off that loss by other gains. The tax benefit offered by this scheme, attracts a lot of employees to invest and buy shares of their company. There is no doubt regarding the fact that the Employees Stock Option Plan offers a way to make easy money, as regular income is achieved through shares. However, some companies offer shares to its employees at a lower rate than the market price. Thus, employees buy shares at a lower rate and then sell those shares once its price hikes. Thus, the Employees Stock Option Scheme is very safe, as regular income is earned and the option of selling the shares is always available to the shareholder. As discussed earlier, in India, the Employees Stock Option Plan usually serves as a motivating force so that the employees feel that it is their company and that they have to make it reach to new heights. This benefit is for the company as well as the employees, as the employees work thinking that it’s their company, and thus, they work harder and better, benefiting the company. On the other hand, when the employees work harder, they grow, thus benefiting themselves. Hence, this fringe benefit, serves as betterment to the whole organization. In India, it is a myth that the share market is only for the rich. Hence, the upper and the lower middle class does not invest in shares and prefers gold, which is considered a dead investment as there is hardly any return on investment. When employees register themselves under the Employees Stock Option Plan, they get a hand of the share market and then they start purchasing shares outside work. Once they are satisfied by their earnings they communicate this thing to their peer network, and suggest them to purchase shares as well. As a result, people purchase less of dead investments like gold, and more of shares. Thus, there is enough money flow in the economy, and the Reserve Bank of India, does not have to take loan from the World Bank and the International Monetary Fund. There is no problem maintaining the gold reserve as well. Thus, it strengthens the Indian economy as a whole. The general public is also benefited by this, as they get a regular return on investment, and the option of selling of shares is always available to them. Question 1: What are the terms of the contract regarding the Employees Stock Option Plan if I decide to resign from the company? Question 2: How many shares will I be offered in the initial agreement, and in the coming years? Question 3: What is the market rate of the shares and the rate at which the company is willing to offer? Question 4: What is the company’s total capitalization/Valuation? Question 5: What is the exercise price of my initial options? Question 6: What is the vesting period of the Employees Stock Option Scheme? Question 7: What percentage of the company’s total ownership do my shares represent? Question 8: Have there been any changes in your Stock Option Plan in the past two years? Question 9: Is there a minimum period of time, which I have to comply with before selling the shares? No matter, how easy and safe the Employees stock Option Plan seems, it is very important to consult a professional before investing in them. A legal and binding contract must always be made. It is very important to read and understanding everything that might enlighten you more about the Employees Stock Option Plan. Before taking up a job offer it is advised to know and understand their Stock Option plans, so that you have no problem in the future. While investing, it is advised not to buy many shares at once, and understand the share market before investing any further.